We understand the needs of your company and employees are unique and different as compared to the clients we provide services for today. We also realize many similarities exist as it relates to the need and desire to conduct and implement benefit communication strategies and supplemental benefits. Below are a few of the more common questions we've been asked and our answers. Please phone or complete the Customer Profile Statement which will allow us to focus and respond to your company's individual needs and questions. Thank you. What does the benefit statement look like and what benefits can it explain? What data is necessary to produce benefit statements and how do we supply this information to you? Since we're gathering all this data, shouldn’t we simply produce the benefit statement ourselves? What is the cost of the varying components described earlier? What is the fee reduction/waiver method? How is the fee reduction/waiver determined? What are some of the supplemental employee-funded products that can be offered? How much additional work will adding supplemental benefits create for my administrative staff? How can you help us if we aren’t satisfied with our current supplemental benefits provider? Please tell me about your benefit counselors? What other services can your benefit counselors help us with since they will be meeting with our employees? Can your benefit counselors explain benefit statements we produce now? Multiple page statements seem to be similar to the lengthy and complex benefit booklets employees continue to suffer through and try to understand. Our statements are single page, 8½ x 17 inch with a paragraph briefly and concisely explaining each highlighted benefit. We will illustrate any benefit you wish, along with its value. We'll need the same benefit information and description you give employees during a benefits orientation. Other data includes name, date of birth, date of hire, rate of pay, benefit plan elections, paid time off, etc. Virtually any form of electronic media is acceptable, with data typically being readily available and transferable from payroll, human resource systems, or from other benefit provider sources. Most customers also supply some data via hard copy. Since we're gathering all this data, shouldn't we simply produce the benefit statement ourselves? Most companies have the data gathering systems in place, yet haven't been able to "find the time" to produce benefit statements. Sound familiar? If you're like most of our customers there are more important things for you to be doing than trying to manipulate the data/text to accurately produce a personalized benefit for each employee. The simplest component of the process is gathering the data. The challenging part is to piece it all together and produce accurate benefit statements for each employee's unique situation. Annually we produce thousands of benefit statements and have dealt successfully with many challenges which occur during the production process. It's analogous to building a home. You can buy/supply the materials, but to complete a finished structure is an all together different challenge. Besides, the person who "gets" to produce statements this year may not be the one who "gets" to produce them next year. We add consistency to the endeavor... just ask our customers! Essentially we operate under two methods of compensation. First, we can provide you with a custom quote specific to which component(s) of benefit communication you would like us to provide. Just phone, or complete the on line Customer Profile Statement and we'll be in touch. The second method, preferred by 90% of our customers, is our fee reduction/waiver method. As benefit costs continue to rise, employers are looking for ways to lower these increases. We can help lessen the pressure to increase spending for wages and benefits. Most group benefit plans treat employees the same and can't take into consideration each employee's individual circumstances. There continues to be fewer and fewer people entering the insurance business and those who do typically focus on upper income and high net worth individuals. With single parent families, time constraints and dual income households, adults find it difficult to meet quality financial professionals. Employer sponsored, employee-funded supplemental group insurance programs can help solve this dilemma. Since 1990, our customers have overwhelmingly preferred this method. By offering employee-funded supplemental group insurance products through our trained and salaried benefit counselors, we will provide every component of employee benefit communication either at a substantially reduced fee or as a complete fee waiver. This option helps you "stretch" those benefit dollars you continue to spend. We will study your overall benefits package. Depending on whether or not there are existing supplemental benefits in place, we will provide a proposal to you listing which employee-funded group insurance products fit. We can then determine the fee reduction or waiver for your company. We can provide an independent no cost review and audit of any existing supplemental benefits to confirm your employees are receiving the best value for their premium dollars. In addition, ensure that your administrative staff is completely satisfied with the existing insurance carriers you are presently using. We recommend initially only offering two or three which can be chosen from the following menu: short-term and/or long-term disability insurance, group life insurance, critical illness, cancer, accident, dental, and hospital indemnity. Because we are an independent broker, we can represent any insurance company and any products you wish to provide your employees. The insurance carriers we partner with and our in-house customer service team will assist in making the integration of these new products as seamless as possible. We assist our clients in every phase relating to adding these new benefits for your employees. Our clients consider our services as an extension of their human resources department with the goal being to keep to a minimum your staff's time and involvement servicing the program. How can you help us if we aren't satisfied with our current supplemental benefits provider? This is a request we receive often. We can provide an independent no cost review and audit of any existing supplemental benefits to confirm your employees are receiving the best value for their premium dollars. In addition, ensure that your administrative staff is completely satisfied with the existing insurance carriers you are presently using. This review will study plan design, underwriting and rates. It will also determine if too many products are being offered and if employees are spending too much in any particular area. Because we are independent, we will market your supplemental benefits and suggest insurance carriers with improved benefit features, often guarantee issue qualification and better rates. Our experienced team is salaried without commission or incentive pay. They are trained professionals proficient in helping employees understand the products being offered in order to make informed benefit decisions. We are often successful in being able to schedule the same benefit counselors to each account year-after-year which is appreciated by the employer as well as the employees. Benefit counselors can provide additional enrollment services to include; core benefits, cafeteria plan, data cleansing, 401(k), etc. along with any other communication services requested. Yes. Our experience has shown we can enhance the impact and understanding of benefits when our salaried benefit counselors, with many years of benefit training and experience, meet briefly with each employee to review their benefit statement. 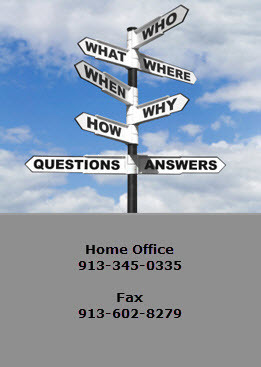 Our benefit counselors will answer employee questions and when necessary, follow up with timely and accurate answers.